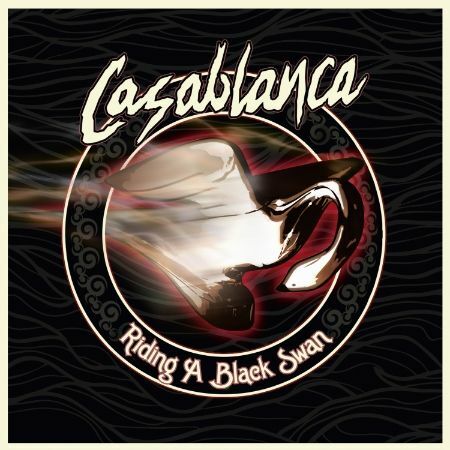 “Riding A Black Swan” is the second album from Sweden based rockers Casablanca. It gets an official launch in the UK on 3rd February, having previously being released internationally in September of last year. The album is the follow-up to their 2012 debut “Apocalyptic Youth” which earned the band a nomination from Classic Rock Magazine for Best New Band of the Year. 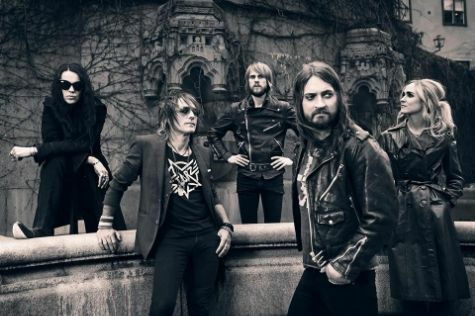 Casablanca have opened for Kiss in Malmo and supported Crashdiet on tour. “Riding A Black Swan” was one of those albums that I knew I was going to like after only a few minutes and it certainly ticks all the boxes from my perspective! Powerful vocals and fantastic guitar riffs are always a winner in my book! Favourite tracks would include “The Giant Dreamless Sleep”, “Hail The Liberation”, “Barriers” and the title track “Riding A Black Swan”. The band consists of Ander Ljung on vocals , Ryan Roxie and Erik Stenemo on guitar, Jospephine Forsman on drums and Mats Rubarth on bass. Ryan Roxie of course is best known as one of Alice Cooper’s guitarists from 1996-2006 and from 2012 to present. He also featured on Slash’s Snakepit album “Ain’t Life Grand”.